As a CMFSC member, you have access to NO HAGGLE SPECIAL PRICING on New & Used Vehicles! Score a deal for your local soccer team at the same time! From a sales pitch to the soccer pitch, Metro Ford offers you even more ways to help give your team an edge and support youth soccer in British Columbia. 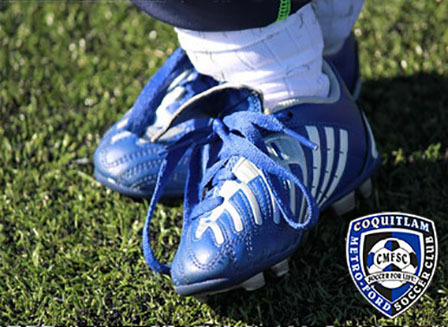 When you come in and buy a new or used vehicle from our dealership, we will donate $100 to the Coquitlam Metro-Ford Soccer Club team of your choice and in your name! Get the same no-haggle pricing with NO FEES that the club has has come to expect from us, and drive off in a new or used vehicle. Take a look right now at some of the different Ford and off-make models we currently have on hand. But not everyone gets this bonus – it is available exclusively to CMFSC members (and their immediate families). Even better, sign up for to play and help support local sports in Port Coquitlam, Maple Ridge, Port Moody, Pitt Meadows and Burnaby. You can read more about CMFSC soccer on our website. Call or stop by today – Just be sure to identify yourself as a CMFSC member to get your SET PRICE with NO FEES plus the $100 donation back to YOUR team!